According the the Camden County Prosecutor's Office, David 'DJ' Creato Jr has pleaded guilty in the death of his toddler son Brendan. Creato pled guilty to one count of first degree aggravated manslaughter in court today. His original murder trial ended in a hung jury in May. The retrial was scheduled to start on September 11th. Creato will be sentenced on September 29th. As a part of the plea he will serve 10 years in prison and won't be eligible for parole for 8 1/2 years. Creato reported his son missing in the early morning hours of October 13th 2015. Brendan was found dead in a wooded area near his Haddon Township home a few hours later. The case was entirely circumstantial with no witnesses, evidence, DNA, and no exact cause of death determined. 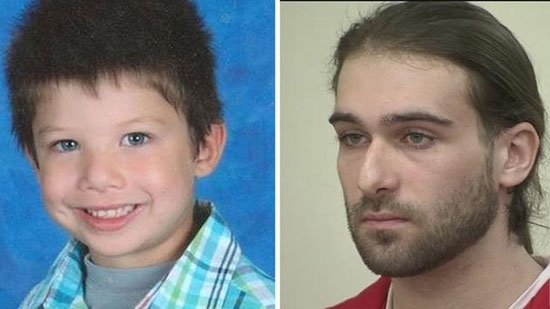 Prosecutors had argued that Creato killed his son because his girlfriend didn't like having the boy around. The all clear has been given at the Chester County Courthouse in West Chester after a haz mat situation this morning. Fire department crews responded to the 200 block of Market Street after a suspicious powder was found in a courtroom on the seventh floor around 10:30 a.m. The building was evacuated as a precaution. The substance was determined to be not harmful and people were allowed back in around 12 pm. Delaware police arrested a teenage boy after he shot several people with a BB gun and led authorities on a chase this morning in New Castle County. A woman was shot by the suspect at the Creeks at Marshallton Apartments around 8 a.m. At around 8:30 a.m. on the 300 block of Nicholas Court a 10-year-old boy riding a bike was also shot. The suspect was reportedly driving a black SUV. About 15 minutes later, police spotted the vehicle and attempted to pull it over. The driver fled and a chase ensued. Police backed off the chase and discovered the vehicle abandoned. The 15-year-old suspect was apprehended a short time later.